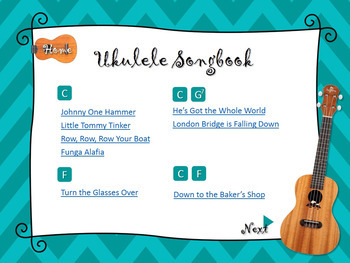 This is a PowerPoint presentation in songbook form for ukulele. 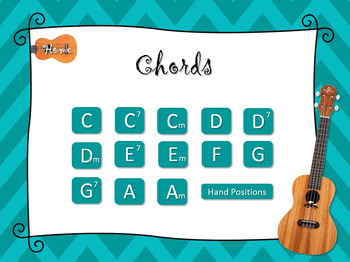 There are chord charts for each chord as well as practice pages with different strumming styles. 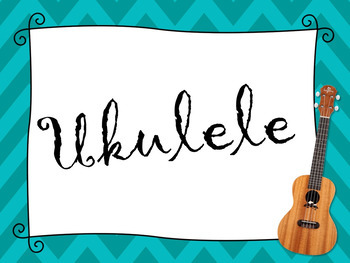 There is a page for learning the anatomy of the instrument so students can learn the different parts of the instrument. 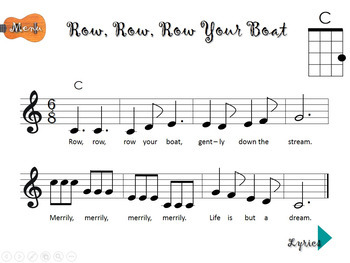 Each song has two versions- one with sheet music and one with lyrics only. Some songs are listed twice for the purpose of using with a different chord structure. Stay tuned! More songs will be added in the future.